Just curious, is there any location that still have the Elaine camera for rental, and if not, for sale? I heard a lot of bad things about them, but would love to try it out. There are a couple in London and one in Woodland Hills, but I really doubt whether they are rentable. They probably haven't been used in decades and are either display props or sitting in a storage room. But call up your local Panavision branch and ask. 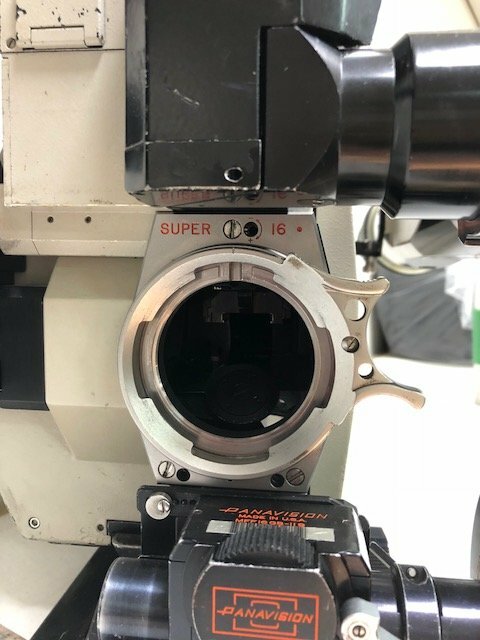 Panavision don't tend to sell their own equipment, even when obsolete. Some things get given away as gifts or mementos, some are used as display props, some are recycled, but very few things are sold. Panavision does in fact sell some of their older digital cameras like the HD900F. There is a company based in LA where Panavision takes their cameras when they are obsolete and this company in return sells them on ebay. I have seen a total of 6 HD900Fs go within the last year on ebay and I own one of them. These are modified Sony F900s though. I have never seen any of their film cameras for sale and suspect if you ever see one, unless its coming from panavision directly, is stolen. Here are some recent sales of HD900Fs on ebay. 1. Would be fun to learn one more system. Actually I should correct myself, these cameras were in rental use as recently as 2011, and have also been given to students as part of Panavision's New Filmmaker Program. Whether they are still being used now I don't know. 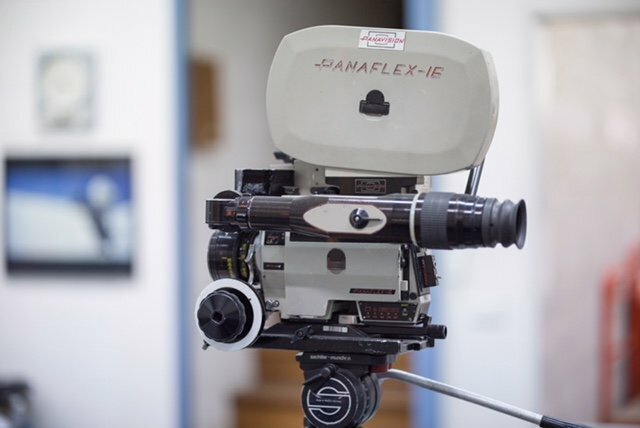 They were designed as a 16mm studio camera system along the lines of the 35mm Panaflex, the idea being that the market for lightweight, handholdable 16mm cameras was already well supplied. 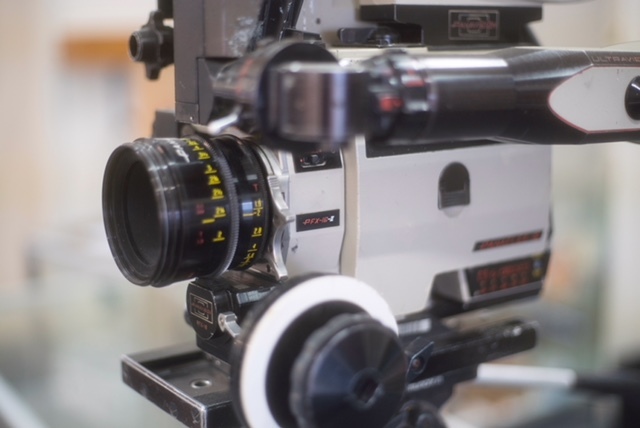 The Gold Coast branch of Panavision here in Australia has one as a display prop in their office. It's a pretty cool object, just like a Panaflex only with little sprocket rollers and a weird mount. There were a range of lenses made specifically for the camera. They are very funny cameras because the whole point of the 16mm format is the lightweight/small cameras. The Elaine kinda defeats the whole purpose of that with a relatively large camera that shoots 16mm. Now the benefit was being able to shoot longer than 400ft loads without a problem, but of course Kodak doesn't make anything else but 400's for 16mm these days. I have a friend who used the camera a few years ago and he said it was like shooting 35mm. Heavy camera, lots of loading issues, wasn't very quiet and was more akin to shooting 35 then 16mm. Yes Panavision pretty much gave him the camera (before they moved from woodland hills) but at the same time, there really isn't a benefit to the system anymore. From my understanding, Panavision has dumped nearly all of their non-panavision film cameras. Yes, I know they still have a few bodies lying around, but they use to have hundreds of Aaton and Arri cameras which are for all extensive purposes, aren't their business anymore sadly. Well for studio-bound TV series shooting on 16mm for example, a heavy studio camera wasn't a problem. I think the idea may have been that if you were a DP used to shooting 35mm, then the system was familiar. And you could shoot for half an hour straight with 1200ft mags. But sure, for most other situations it wasn't very practical. I think they only made 40 cameras or so. When I said Panavision doesn't sell their equipment, I meant the stuff they manufacture. I'm sure they've offloaded plenty of third party gear. A friend used to operate on TV drama series using the Elaine, sinbe they were using a gear head the weight wasn't a big factor. Around that time, the Arri 16 SRI & IIs were put into blimps in order to keep the camera noise down.. Camera assistants hated threading that camera -- all the latches of a Panaflex, based on a Mitchell, but half the size and space for your fingers to do it. My post isn't related to the Elaine, but in regards to Dom's comment I own an Arri 2C that I bought two years ago, which has a Panavision mount on it. It was advertised as PL mount and that's what I thought it was at first after it arrived but I decided to keep it. 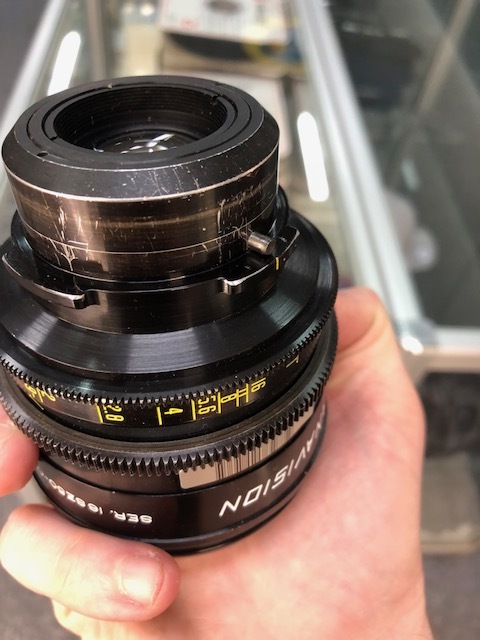 I've been thinking of getting the lens mount changed to PL by Bruce McNaughton, but occasionally wonder if it might be worth keeping it as it is. Any ideas how rare these Pan-Arri 2Cs might be, Dom? Perhaps they're quite common. I have no idea. The camera has an F&B Ceco label on the plate that covers the film compartment when there is no magazine fitted, but I contacted the former owner of the company and he had no recollection of ever having a PanArri 2C in the inventory, so the plate must have come from another camera. The camera appears to be in good working order. That Elaine is a very nice looking unit. Yes indeed, I agree. Would love to make a film with this. Pity it's display only. A camera operator friend once told me there were rumours that magazines were prone to scratching film. Anyone know if this was true ?